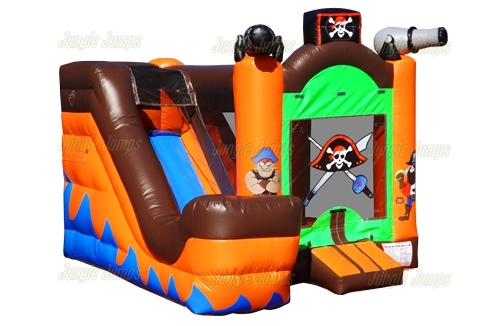 Home / Pirate Ship Combo. 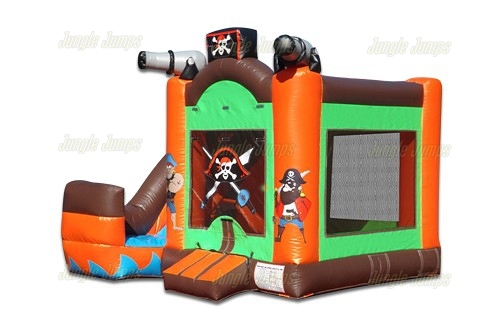 This inflatable Combo house features pirate painting styling, with inflatable skull and Armors printed details. 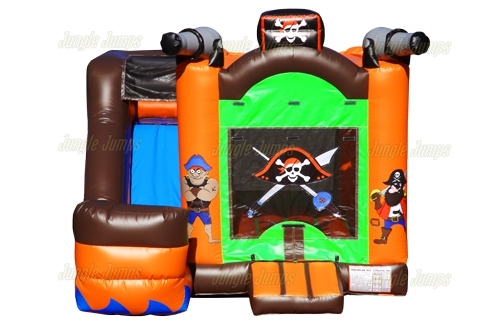 A lot of fun with this combo unit…. 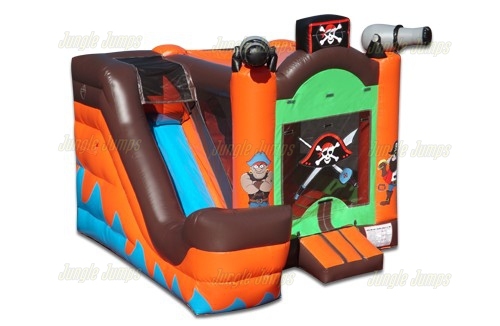 Kids can SLIDES and Bounce. 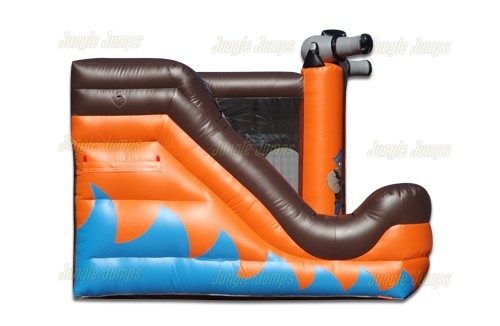 very Good for medium Large party.